Hold down brackets secure the window covering to the wall or to a door, limiting the window covering's movement when the door is open, for example. These are for outside mounts only. 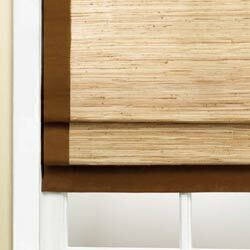 Edge binding will enhance the look of your already beautiful natural wood shade. The many color options of edge binding will allow you to transform your wood woven shade into a piece of furniture that will fit right in with your room décor. Featured on Fox’s DIY home makeover series “HOME FREE,” our aptly named Designer Series Woven Woods collection gives your home a designer look without the designer price tag. These elegant and sophisticated woven wood window treatments are easy to install and customize to fit your unique style. 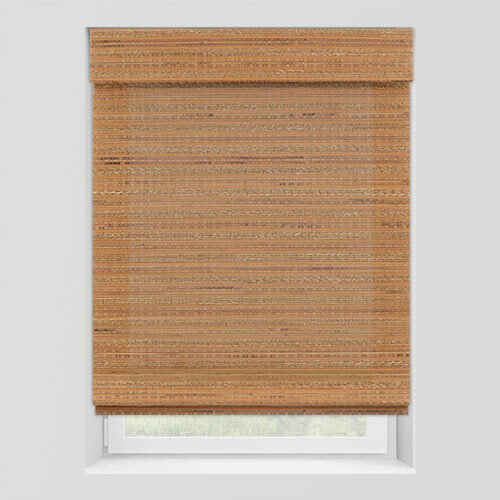 Quality constructed with exotic woven wood materials, they’re a natural, eco-friendly choice. Use them as a simple accent, or as the focal point of any space. With tons of luxurious colors and textures to choose from – and optional cloth tape edge binding available to complete your designer look – the possibilities are endless! Our Designer Series Woven Woods come with our standard ring-pull cordless lift system included to keep wee ones safe or continuous cord loop for those larger windows. 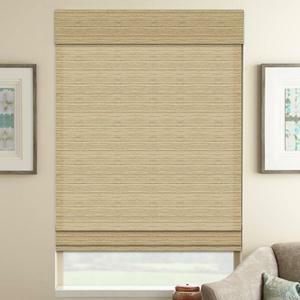 And while woven woods naturally allow for light to filter through, you can also protect your privacy and furnishings by adding an optional Privacy or Blackout liner (perfect, too, for media rooms and bedrooms). To make sure you get just the right look and feel, take advantage of our free samples to see for yourself just how amazing woven wood window coverings will look in your home! Standard valance is 6" tall. Returns are standard on all outside mounts. 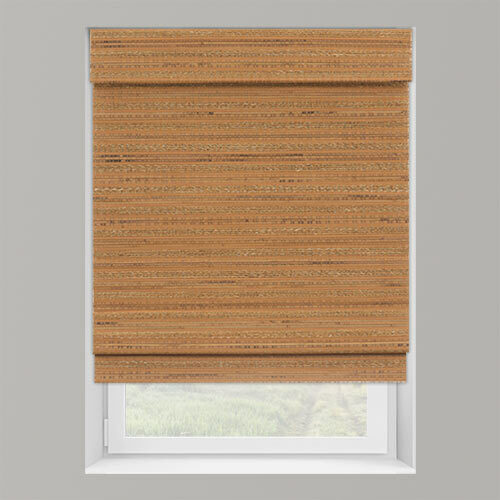 Outside mount valances will measure up to 3/4" wider depending on the type of the woven wood material selected. Since this is a natural product, colors will not be exact. (Seasons can change the color of the reeds, grasses, etc.) Please order for entire room to prevent dye lot changes. To operate the ring pull cordless system, simply tug on the ring in the back to begin moving the shade to your desired location. 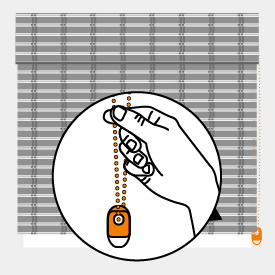 All continuous cord loop chains are metal. The blind is exactly as ordered. The fit is perfect! Love the cordless feature. Installation was simple and quick. I did the research on material and quality. This is the same material that cost 2x as much at other suppliers. 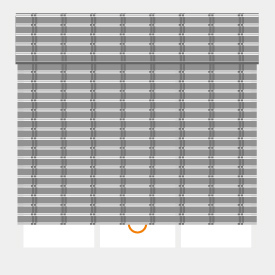 My whole house now has Select Blinds. We absolutely ove the quality, the ease in measuring and putting up.. and we like the top down, bottom up feature that provides privacy and light. I also like receiving samples so we can really see what color and quality we will need. thanks. This product provides beauty and simple style to my kitchen. We love them and have gotten many compliments for the quality and the borders are unique as well.